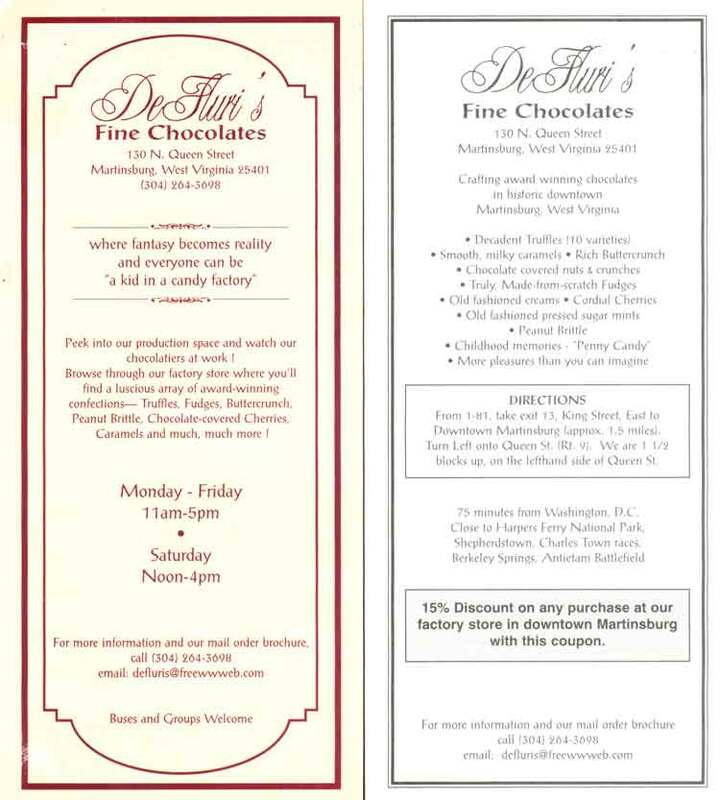 The rack card pictured below has been out of distribution for several years and the coupon on it has expired. The discount mentioned on this card will no longer be honored. We thank all of you for your interest in DeFluri's Chocolates and look forward to seeing you in our showroom soon.